Welcome to Steve Bailey's Tourist First. Scroll down and hit "older posts" to find postings about about Iran, Italy, Portugal, Morocco, Tanzania, Botswana, South Africa, Peru, Panama, France, Laos, Cambodia, Vietnam, Canada, Turkey, Nicaragua, Britain and more. You can also use the search function, above left, to look for a particular destination. Above, the daily flight from Managua at the San Carlos, Nicaragua, airstrip. Meet Yaro Choiseul-Praslin. He is the proprietor of Sabalos Lodge (click HERE for its website), a wonderful eco-lodge on the Rio San Juan, the free-flowing river that connects Lake Nicaragua with the Caribbean. He's also the local face of Rio San Juan Relief, which attempts to provide basic health services to the people of this isolated corner of Nicaragua, the hemisphere's second-poorest country. For more information, click HERE to visit the organization's website. Yaro and his son Rafael house visiting medical personnel at the lodge and transport them -- often by boat -- to villages where they examine and treat people with a wide variety of health problems. They also offer basic health information, such as how to brush one's teeth. When Jane and I were at Sabalos Lodge in January 2012, we met Dr. Nicholas Halikis of Torrance, Calif., a hand and upper extremity surgeon. He and Janelle Freshman, a physical therapist who organized their mission (and her non-medical husband, Howard), had brought a bunch of coloring books and other things for children. They said they started to hand them out to desperately poor children at one stop and were told to wait -- save them for the even poorer children that they would be seeing soon elsewhere. I know physicians who do this sort of volunteer work, but I had never before been near where it was being done. It's hard for Americans to imagine a place so remote that it's difficult to obtain any level of health care at all. You may have cellphone service, but if you break a leg, there's no one to call. In the villages of the Rio San Juan valley that aren't on the river, a trip to a river dock can take hours. Then there's the wait for a ferry. From Sabalos Lodge, for example, it's more than an hour upstream to the town of San Carlos, which itself has only a bare-bones infirmary. Managua is 45 minutes away by air or five hours or more by road. So here's to Yaro, Rafael and all the U.S. and Nicaragua folk who do good work through Rio San Juan Relief. I'm a former newspaper editor who has worked on major newspapers from Florida to Chicago and Baltimore to Paris. I was at the New York Times until 2007, working on the Travel section. I traded Times Square for the Eastern Shore of Maryland, where I worked as a freelance writer and editor (www.stevebailey.us) and until 2015 taught communications at Salisbury University. In 2017 I moved to San Diego, California, still working as a freelance writer, editor and writing coach. I like to travel, to share my experiences and to hear about others' trips. This blog is intended as a resource for people who are planning vacations or other travel. Below are photos and notes about some of my favorite places. Some have links to hotels that I think are worth recommending. No hotels, restaurants or other businesses mentioned in this column or in my postings have paid or given incentives for the mentions. All the photos in this column were taken by me, as were almost all photos that appear in the postings at left. They're called what they look like: Mexican hats. 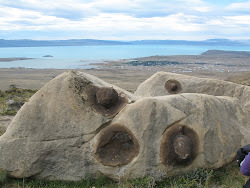 They occur naturally in the highlands above the town of El Calafate. The water in the distance is glacier-fed Lago Argentino. An hour's drive east of El Calafate, near the headwaters of the lake, visitors can hike on the Perito Moreno glacier and take a boat ride among icebergs that have fallen off the several glaciers in the Parque Nacional des Glaciares. El Calafate is basically a summer (Nov. to Feb.) tourist town, and there are a number of hotels at all price points. We stayed at Esplendor El Calafate, a very stylish hotel with a full restaurant and bar. The South American picker-upper drink mate is available at breakfast. The hotel is an uphill walk from the commercial area, but that's not much of a drawback. Click on the photo to visit the Esplendor online. Casa Milà, better known as La Pedrera, is a century-old apartment building designed by Antoni Gaudí, who is best known for the still unfinished Sagrada Familia temple. Barcelona's other attractions include wonderful seafood restaurants, a lively and late nightlife, and a gondola ride above the harbor. Probably the greenest island in the Caribbean, in terms of color and ecological awareness, is Dominica, just north of Martinique. It was named by Columbus, who sailed past it on a Sunday. The island nation is one of the poorest in the Western Hemisphere, but it is rich in friendly people and natural attractions, including a boiling lake, hot and cold waterfalls, a parrot jungle and hill after hill of dense green jungle. There is also a cable-car ride through the jungle canopy (http://www.natureisland.com/AerialTram.html). I wrote about Dominica years ago, and much of that article is still relevant: http://www.nytimes.com/1997/10/26/travel/winter-in-the-sun-an-island-where-less-is-more.html?scp=2&sq= Unfortunately, one of the hotels I mentioned, Petit Coulibri, has since closed. Fortunately, there's still a wonderful eco-resort called Papillote Wilderness Retreat http://www.papillote.dm/), four acres of lush gardens, hot-spring-heated soaking pools and modest cottage rooms. The "widow" of the year that just died dances at a New Years Eve party at Hacienda Pinsaqui (www.haciendapinsaqui.com) in the Andes north of Quito, Ecuador. The centuries-old hacienda is now a hotel from which guests can ride horses to Indian villages and a waterfall, or visit the famous crafts market at Otavalo. Click on the photo for a link to an article about Hacienda Pinsaqui and the Otavalo region. This is Lonesome George, thought to be the last of his specific species, though there are lots of other giant tortoises to be seen, especially on Santa Cruz Island, where the late George lived in the Charles Darwin Research Station. The Galapagos can be visited only as part of government-supervised tours, and the professional guides make sure you learn a lot about the unique creatures and fantastic landscapes that you see there. Click on the photo to link to International Expeditions' Galapagos site. Ruins are still visible where much of the ancient city of Simena sank into the sea in an earthquake. It's a popular stop for boaters along the Lycian Coast of Turkey. 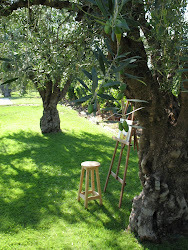 An artist stepped away from her easel in an olive grove at Club Tapiz, a vineyard B&B in Argentina's Mendoza wine region. The next time you order a malbec wine, look to see if it's from Mendoza. Odds are that it is. Click on the photo for a link to Club Tapiz. Palm Springs, Calif., is a great destination for nature lovers -- Mount San Jacinto State Park is a wonderful gondola ride (shown above -- click on it to visit its website) away, and Joshua Tree National Park is a short drive away. It's also a great destination for naturists; there are several major clothing optional resorts in the area -- and for fans of Mid-Century Modern architecture. For a dose of mid-century style, stay at the Orbit In (http://www.orbitin.com/), which does ask that you keep your clothes on. If you're driving from Naples to the Amalfi Coast, and it's hard to imagine anyone who wouldn't want to visit the Amalfi Coast, you should plan to spend a night in the modern city of Pompei, adjacent to the ancient city of Pompeii. Above are the murals depicting an unknown ritual in what's called the Villa of the Mysteries in Pompeii. If you can, devote most of a full day to exploring the site. Afterward, you'll want a good hotel. Click on the image for info about Hotel Amleto, a small and friendly hotel in the heart of the new town and an easy walk from the ruins. This is one of the "rooms" at Petit Byahaut, an isolated (access by boat only) eco-resort on St. Vincent, the largest island in the country of St. Vincent and the Grenadines. Bequia, mentioned above in this column, is one of the Grenadines. The photo above is of the living deck and doesn't show a relatively enclosed area that had a real bed. Did you notice I said "had"? That's because the place has closed and is for sale ($3.5 million). If you're interested in buying, contact me and I'll put you in touch with the owner. To read about the property in its heyday, click on the image for a New York Times article I wrote. The article has a link to a slide show with more images of the resort. 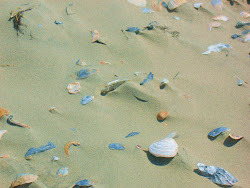 The beach on Cedar Island -- one of Virginia's barrier islands -- is littered with shells. The barrier islands are in the Atlantic off the Eastern Shore of Virginia, an often-overlooked part of that state. Click on the photo for a NY Times article about the wineries, inns and lack of Civil War battlefields in this part of Virginia. Canal boats cross the Pontcysyllte Aqueduct on the Llangollen Canal in northern Wales. The aqueduct, competed in 1805, consists of an iron trough supported by 18 stone piers. It is over 1,000 feet long and soars 127 feet above farmland and the River Dee on the approach to Llangollen, one of the most picturesque towns in Wales. Boats such as this are ideal and quite affordable for two or three couples. About seven feet wide and up to 68 feet long, they can be hard to maneuver, but since top speed is four miles an hour, running into a bank or a stone wall at a lock (which you operate manually yourself) is not a disaster. They provide complete and fairly comfortable living accommodations, so you can simply tie up wherever you want for a meal or to spend the night. A few restaurants and towns along the canals give you chances to replenish the galley or have a meal ashore. We rented our boat from Black Prince at the town of Chirk. Click on the photo for a link to the company's website. Copyright 2010 and continuing by Stephen M. Bailey. Awesome Inc. theme. Theme images by Graffizone. Powered by Blogger.